The following evidence suggest how intensely President Reagan pursued surveillance, especially under the new rationale of investigating and preempting “terrorist” incidents. “This continued the trend toward increasing CIA power and White House support. In particular, it authorized the infiltration, manipulation, and disruption of domestic organizations by the FBI and CIA even in the absence of any evidence of wrongdoing” [Covert Action, Number 22 (Fall 1984)]. **January 12, 1982, National Security Decision Directive #2 was signed by President Reagan, reorganizing the National Security Council (NSC) and set up interagency groups on (1) foreign policy, (2) defense policy, and (3) intelligence to “undertake such other activities as may be assigned to the NSC.” NOTE: In effect, this Directive states that the NSC will set policy, and will participate in operational roles. It shifts NSC from adviser to the actual running of covert campaigns. **July 22, 1982, National Security Decision Directive 47, “Emergency Mobilization Preparedness,” authorized “relocation of large numbers of people” [detention] and an “intensified counterintelligence effort” during major domestic or national security emergencies. **November 13, 1984, a few days after Reagan’s second election he signed an intelligence authorization “Finding” (and a second one on August 11, 1985, and a third on May 12, 1986) authorizing any aggressive covert actions against “terrorists” if conducted in “good faith.” The first was signed Nov. 13, 1984, a few days after his second election; the second was signed August 11, 1985; and the third was signed May 12, 1986. These authorizations were considered a “license to kill,” an astounding blank check “to kill.” A former White House official called the orders the “go anywhere, do anything” authority. (See Oakland Tribune, October 5, 1988, “Reagan Signed Two Intelligence Directives Regarded As ‘Licenses to Kill’”; San Francisco Examiner, October 5, 1988, “Reagan Loosened CIA Leash, Order Could Have OK’d Assassinations”). **July 20, 1985, National Security Decision Directive 179, “Task Force on Combating Terrorism,” established the executive Task Force on Combating Terrorism, chaired by Vice-President Bush which, in turn, created the Operations Subgroup (OSG) under the Terrorist Incident Working Group (TIWG) chaired by Oliver North; “International terrorism poses an increasing threat to U.S. Citizens and our interests.” BW Note: There are those U.S. interests again!! **January 20, 1986, National Security Decision Directive 207, “The National Program for Combating Terrorism,” created a National Security Council (NSC) coordinator of counterterrorism, also chaired by Oliver North, to develop more effective measures for apprehending, extraditing, and prosecuting terrorists. **July 18, 1986, FBI presents “counter intelligence/counter-terrorism operations plan” at a meeting of the OSG-TIWG (see above) to initiate active FBI domestic surveillance. This was in effect creation of an FBI Anti-Terrorist Task Force (Ref. Agents George Kiszynski and Kevin Currier relating to Jack Terrell). **A July 28, 1986, memorandum from Poindexter of the NSC (memo prepared by Col. North) addressed to President Reagan identifies the Operations Sub-Group (OSG) of the Terrorist Incident Working Group (TIWG) of the NSC. This Group made available to the FBI all information from other U.S. agencies relating to Terrell in early 1986. October 31, 1986, a four-page FBI message addressed to the Director and All Offices of the Bureau from the Chicago office, SUBJECT: “Domestic Security/Terrorism Sabotage”, including the launching of an October 30 investigation of the “Plowshare” group, and group called the Veterans Fast For Life, as part of “an organized conspiracy to use force/violence to coerce the United States Government into modifying its direction“. December 14, 1987, FBI Director William Sessions sends 3-page response letter to Congressman Don Edwards’ (D-CA) inquiry of October 6, 1987, admitting that six individuals from two organizations, “Silo Plowshares”, and “Veterans fast For Life”, “were developed as suspects“, and that the FBI conducted a “preliminary inquiry….under the domestic security/terrorism caption“. From the pattern of conduct “it was reasonable to conclude a political motive, by two or more persons engaged in activities in violation of Federal law…..Such investigations are initiated when the facts or circumstances reasonably indicate that two or more persons are engaged in an enterprise for the purpose of furthering political or social goals, wholly or in part, through activities that involve force or violence and a violation of the criminal laws of the United State”. The letter indicated that the preliminary inquiry was closed on April 28, 1987. Brian Note #1: The FBI response does not indicate whether the initial inquiry remains part of the historical record or whether it has been physically eliminated. A wave of break-ins at offices (See “Record of Surveillance, Break-Ins” below) of political opponents to Reagan’s foreign policies suggest government behavior has systematically been involved directly or indirectly in violation of the law and civil liberties, going far beyond surveillance and investigations. Brian Note #2: Ex-FBI agent Jack Ryan who was fired for refusal to obey orders to investigate members of “Silo Plowshares,” and “Veterans Fast For Life” as “terrorists” has said the origin of the investigation was suspicious for two reasons, believing that one may have already been underway, now needing a formal cover: (1) the investigation triggered by acts of minor vandalism at recruiting offices, an insignificant crime in FBI experiences, normally would not lead a local FBI office to initiate a national “priority” communication to every field office and to the director in Wash., DC; it is so unusual as to hint another FBI motive involved; (2) the October 31, 1986 national FBI communication authored by a local office already possessed a code name, an extraordinarily unusual, also suggesting another reason behind the FBI communication. As of January 1988, the Movement Support Network of the Center for Constitutional Rights in New York had recorded 90 burglaries and break-ins with apparent Central American-related political motives since 1983. From November 1984 through June 1986, the offices sharing space in the basement of the Old Cambridge Baptist Church in Cambridge, MA were broken into eight times. The targets included: The New England Central American Network (NECAN), Central American Solidarity Association, Central American Information Office, Educators in Support of ANDES (the Salvadoran teachers union) and New Institute of Central America (NICA), the latter of which sent me on a scholarship to their language school in Esteli, Nicaragua on a scholarship as a military veteran, Jan.-Feb. 1986. The Church itself had become a sanctuary for Central American refugees the week before the first break-in. On May 15, 1987, the NICA office experienced another break-in. Burglars poured muriatic acid on computer discs. NECAN was broken into again on May 3, 1988. [Holly Sklar, Washington’s War On Nicaragua (Boston: South End Press, 1988), pp. 351-52]. Among the other organizations and sanctuary churches that have experienced break-ins are: the Central American Historical Institute located on the campus of Georgetown University in Washington, DC; MADRE, a NY-based association of women in solidarity with women in Central America and the Caribbean; Calvary United Methodist Church in Washington, DC; Veterans Fast For Life, World Peacemakers, and Washington Pledge of Resistance, all housed in the Church of the Savior in Washington, DC (on same block of Massachusetts Avenue where I had lived in Mrs. Christian’s Boarding House with the Cuban exiles in 1961-62, some 25-years earlier), among many other organizations located around the U.S. [Holly Sklar, p. 352; “Testimony of the Center for Constitutional Rights (CCR)”, House Committee on the Judiciary, Subcommittee on Civil and Constitutional Rights (Don Edwards, Chair), February 20, 1987, pp. 21-26; Movement Support Network, Center for Constitutional Rights, New York City, Paul Hirshon, “Incidents of Intelligence Gathering and Harassment,” Revised monthly, Boston Globe, May 4, 1988]. Observation and monitoring became criminal. Throughout the 1980s, Central American activists experienced nearly 200 cases of harassment and intimidation, including break-ins of private homes and organizational offices [Ross Gelbspan, Break-ins, Death Threats, and the FBI (Boston: South End, 1991) regarding break-ins; House Subcommittee on Civil and Constitutional Rights, Committee of the Judiciary, Break-Ins at Sanctuary Churches and Organizations Opposed to Administration Policy in Central America: Hearings Before the Subcommittee on Civil and Constitutional Rights, 100th Congress, 1st Session, February 19-20, 1987]. In addition, the Christic house in Washington, D.C. where we fasters in the Veterans Fast For Life (VFFL) were living when not sitting on the steps of the U.S. Capitol, was broken into in early October 1986, with records of names of supporters taken. Daniel Sheehan, director of Christic, was investigated by the FBI as well. In former CIA officer John Stockwell’s book, The Praetorian Guard, The U.S. Role in the New World Order (Cambridge, MA: South End Press, 1991), pp. 105-106, he reports that in September 1988, FBI Director William Sessions announced the disciplining of FBI officers who had improperly targeted the Committee in Solidarity with the People of El Salvador (CISPES) and 160 other civic organizations, many of which were critical of the Reagan administration’s policy in Central America. During the summer of 1989, Congress discovered that a total of 1,600 groups had been improperly targeted by the FBI. Philip Shenon, “F.B.I. Is Willing To Erase Names From Its Records,” New York Times, September 17, 1988: “The Director of the Federal Bureau of Investigation, William S. Sessions, indicated today that the bureau was willing to expunge the names of people and organizations identified in files of a bureau surveillance campaign aimed at opponents of the Reagan Administration’s policies in Central America. I wonder if my name and that of the other veterans in the fast have been removed? Reagan’s Office of Public Diplomacy (OPD) had applied techniques from the Public Relations industry as well as utilizing intelligence shenanigans, coordinating its efforts with Western Goals, a private intelligence computerized data gathering agency closely connected to the John Birch Society, to create a data-base cataloguing the names and personal information of activists in the nuclear freeze and Central American solidarity movement. The information was turned over to the FBI. The OPD worked hand-in-glove with the State Dept., the Defense Dept., the CIA, the NSC, and a vast private network of right-wing individuals and organizations. Retired General John Singlaub was on the Western Goals board [The New Right Humanitarians (Albuquerque, NM: The Resource Center, 1986), pp. 39-40]. The special CISPES investigation rationalized under “international terrorism” guidelines, lasted 5 years, involved all 59 of the FBI’s U.S. field offices, and collected information on over 2,000 individuals and over 1,000 groups. 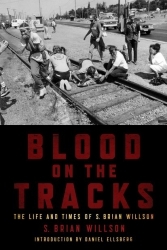 It generated 178 spin-off inquiries reaching into every aspect of the anti-interventionist movement, including a number of Congressional offices, the SCLC, the Maryknoll Sisters, the United Auto Workers, and the Inter-Religious Task Force on Central America [Greg Grandin, Empire’s Workshop (New York: Metropolitan Books, 2006), p. 138]. The FBI believed it was in a near war campaign against traitors, and specifically targeted individuals who clearly displayed their contempt for the U.S. government by making speeches and propagandizing their cause [Gary M. Stern, The FBI’s Misguided Probe of CISPES, Washington: Center for National Security Studies, 1988), p. 2]. Oliver North had drawn up plans to arrest and detain Central American activists indefinitely if the U.S. were to invade Nicaragua [Senate Select Committee on Intelligence, The FBI and CISPES, 101st Congress, 1st Session, 1989, p. 20; in general, Ross Gelbspan. Break-Ins, Death Threats, and the FBI. (Boston: South End Press, 1991); Alfonso Chardy, “Reagan Aides and the ‘Secret’ Government,” Miami Herald, July 5, 1987]. Activists who traveled to Central America, especially Nicaragua and El Salvador, often had their personal documents and papers seized, mail tampered with, and employers questioned. FBI Director William Webster had admitted that these investigations were conducted at the request of the CIA and Oliver North’s NSC [Ross Gelbspan, “More Probes Found of Latin Policy Foes; FBI Surveillance Called Pervasive”, Boston Globe, June 18, 1988]. President Reagan was obsessed with assuring that the Nicaragua revolution would be destroyed. On the home front there was significant opposition to his policy of utilizing public funds and taking up government energy to undermine the sovereign government of Nicaragua. To contend with domestic opposition, Reagan devised a 3-prong attack: (1) creation of a centralized public diplomacy campaign (OPD) to concoct stories in the media, universities, churches, etc., about the evil Sandinistas and the noble “freedom fighter” Contras; (2) a massive campaign to monitor and interrupt (CIA, FBI, NSC, etc.) U.S. citizens who were actively opposed to Reagan’s funding, whether done legally through Congress or illegally through surreptitious sources, and organizing strenuously to have Congress vote No; and (3) building a countervailing grassroots right-wing support network supporting the Contras (part of the “Enterprise”) among the militarist community, vestiges from Viet Nam veterans, and evangelicals, advocating for a hard-line foreign policy supporting murder. In 1988, FBI director William Sessions finally admitted to the Library Awareness Program in which librarians were asked to report on the reading habits of people with foreign accents or funny sounding names (Curt Gentry, J. Edgar Hoover: The Man and the Secrets (New York: W.W. Norton, 1991), p. 759). The Washington Monthly published a January 1989 article, “Ma’m, What You Need Is a New, Improved Hoover,” by Mathew Miller, in which he humorously points out that if this standard were applied, “Zbigniew Brzenski could be busted any day in the Columbia stacks.” Actually the Library Awareness Program predated Sessions by many years, having been established by J. Edgar Hoover in 1962 in efforts to solicit librarians as informants (Gentry, J. Edgar Hoover, p. 760). September 1990, “International Terrorism, FBI Investigates Domestic Activities To Identify Terrorists,” prepared by the U.S. General Accounting Office, Report to the Chairman, Subcommittee On Civil and Constitutional Rights, Committee on the Judiciary, House of Representatives (Rep. Don Edwards), that reveals between January 1982 and June 1988, the FBI opened 18,144 cases because of suspicion that individuals or group were involved in terrorist activities, of whom 6,895 were “U.S. Persons” (U.S. citizens and permanent resident aliens). Congressman Don Edwards (D-10th Congr Distr/San Jose) initiated the inquiry. William Webster had been director of the FBI, February 23, 1978 – May 25, 1987. He was succeeded by William S. Sessions, director from November 2, 1987 – July 19, 1993. John E. Otto was the Acting Director, May 26, 1987 – November 2, 1987 at the time I was struck by the speeding train. GAO Report: “The FBI redacted the closed files before we reviewed them…We were limited in our ability to develop overall conclusions regarding the FBI’s international terrorism program. The questionnaire and case file data clearly demonstrated that the FBI did engage in monitoring of First Amendment-type activities during its international terrorist investigations”. Brian Note #1: There is no way of knowing the veracity of any FBI statements. Information is blacked out (redacted) preventing any accountability as to who was investigated, and whether their names are still on a watch list. Brian Note #2: See: Ross Gelbspan, Break-ins, Death Threats and the FBI, The Covert War Against the Central America Movement (Boston: South End Press, 1991), p. 150: The “hook” in the FBI Guidelines that permitted investigations of various individual U.S. citizens, including Congress people, was because of their “contacts with representatives of foreign governments”. This entry was written by brian, posted on at 10:59 am, filed under The Most Dangerous of Rogue Nations: The United States, Terrorism & Homeland Security. Bookmark the permalink. Follow any comments here with the RSS feed for this post. Post a comment or leave a trackback: Trackback URL. famous blogger in the event you are not already 😉 Cheers!
) I maintain such info a lot. I used to be seeking this certain information for a very long time.